A scene from a few years ago on my drive to work. 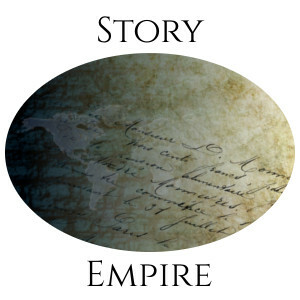 My fellow authors at Story Empire and I have a board where we share ideas, discuss upcoming posts, marketing strategies, etc. And yes, we often need to rant – sometimes about writing, other times about life in general. A few days earlier, I had noticed some floaters in my eyes. I’ve had these for years, but there were a couple of new ones and one that went across the middle of my left eye. My supervisor, who is a nurse, encouraged me to get an eye exam, so I made an appointment for two weeks out. By Wednesday, the floaters were not any better – in fact, new ones appeared. Called my ophthalmologist back, and they were able to squeeze me in for later that morning. He found a torn retina and set me up with an appointment that afternoon with a specialist. Arrived at four for my appointment. Three and a half hours later, I finally see the doctor. (Think someone is trying to teach me patience?) Not only was the retina torn but had detached. I underwent an emergency procedure to repair it. Failure to do so within twenty-four hours would have resulted in me losing vision in my left eye. This past week was one of the longest in my life. For seven days post-op, I had to lay on my right side. If I sat up, I had to keep my head tilted to the right. Not the easiest thing to do. I thought I would never make it. Of course, I couldn’t read (except for a few short messages and emails on my iPhone). Couldn’t write (can’t very well type with my head leaning to the side). I could lay on the sofa and watch TV (not a big TV person but I had to do something)! I’m happy (and thanksful) to report I went for a follow-up appointment this week and the surgery was a success. The vision in my left eye has improved from twenty/fifty (the day after surgery) to twenty/thirty. I will return to work on Monday. The point of my post? Not to call attention to myself but to encourage you. Don’t take life for granted. Slow down, and have a little patience. (Talking to myself here.) For those of you who dream of becoming a writer, don’t wait. Get those words out of your head and on paper or into the computer. Seize the day. Live your dream. Hug someone you love. I can’t tell you what a pleasure it was to sit at my computer on Wednesday evening and be able to read. Thursday morning, I was back to writing. Yes, my ordeal has put me behind in finishing my WIP which means I won’t have an October release, but that’s okay. I’ll get back to the story and hope for November. In the meantime, I’m learning to be patient. Somehow, being irritated at those drivers doesn’t seem important. I’ve learned not to take life, or anything, for granted. Happy things have gotten better for you, Joan. I’m normally a pretty patient and laid back person, as well as hard to anger and easy to get over anger when it did happen. But when I drove to work and back, I turned into a different person. Not road rage or anything like that, but I easily became upset with the pokey drivers. Kim, I’m the same way. Not into road rage but I do get impatient. Hopefully this event truly taught me a lesson. Joan, I am so glad you work with a nurse who directed you wisely to get that exam. But waiting two weeks could have been devastating! Bob had a torn/detached retina several years ago. He saw his eye doctor early that day, picked me up at noon for a 1pm appointment and at 6pm we finally saw the specialist. It was early next morning when they did his surgery. I’m happy to say his vision was restored as well. Patience, patience, patience…someone’s been trying to teach me that too. Sherrey, you’ve been through so much lately which has required patience. I thought the issue with my knee is frustrating but this was scary. Fortunately, while in the waiting room I spoke to a man who had surgery for a detached retina serval years ago. He’ had no other problems. Glad to know that is the case with Bob also. Take care, my friend! Very happy that you went in and the surgery was a success. Great reminder for what’s important. Denise, it was eye-opening. (No pun intended.) Thanks for visiting. So glad you went to the doctor when you did. My M.O. is to shrug it off and let it get worse. Don’t hit it too hard yet. Craig, I’m usually the same way. I think it’s a common trait with healthcare workers (not to reflect back on our industry). But I knew something wasn’t right, and I’m glad I sought medical attention. I’m still taking it easy but its so good to be able to read and write again. Sometimes Life has a way of slapping us “upside the head,” as we say down here. It’s often necessary to remind us how fragile we really are, and that we should never take life and good health for granted. I’m truly sorry you went through such a frightening ordeal and such a tedious recovery period. But I’m very glad to know your surgery was a success, and that you learned a couple of important life lessons along the way. Patience IS said to be a virtue, but it’s also good for reducing needless stress. Bottom line: Stress bad. Patience good. And successful surgery, something to celebrate! Heck, just celebrate something every day. We forget to do that in this crazy world, but if we’d just take the time to count our blessings, we’d all be happier, I suspect. Me, included. It is, Staci. In ways, I feel like I have a new lease on life. I can imagine. And I can’t wait to see what you do with your new-found gratitude and enthusiasm.